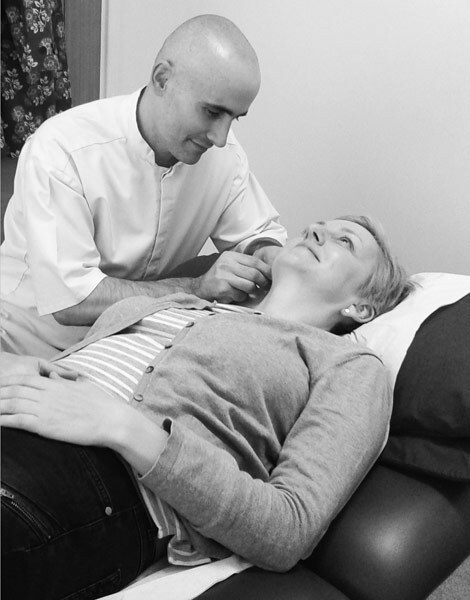 The Practice provides acupuncture in Exeter and North Tawton (Okehampton), Devon. The practice is run by Lee Moden, who has been in busy practice since 2002. Lee previously worked in Cambridge for 14 years where he founded and ran The Jade Pathway Centre. As a full member of The British Acupuncture Council (BAcC), Lee provides acupuncture for people of all ages and states of health, including people with specific ailments such as back pain, headaches and migraines etc, those requiring support during stressful times, or those who are keen to explore greater physical and mental-emotional well-being. Support is also given for those moving into the ‘winter’ of their life and those with terminal illness. Please watch this lighthearted animated introduction to acupuncture. 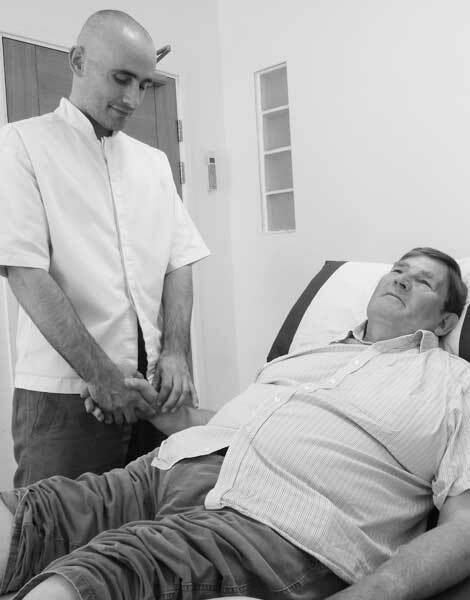 If you are considering treatment but are unsure whether acupuncture may help – book a free initial chat so you can meet with Lee and have your questions answered. Please contact us on (01837) 214888 (acupuncture North Tawton) or (01392) 927299 (acupuncture Exeter) to arrange a convenient time. Anxiety, back pain, fertility, headaches, sciatica, sports injuries, stress and others – click on the Research Fact Sheets link below to read relevant research showing how acupuncture may be beneficial for these and other common complaints. Click on the images below to find out about ‘Qi’ (pronounced “chee”), and how, in Chinese medicine, we aim to restore the flow of this energy within the meridian system. Find out about the process of traditional Chinese medicine diagnosis and the various treatment methods that may be used as part of your treatment. In ancient China, the physicians observed in great detail, our natural behaviour and energetic rhythms. Over thousands of years, they developed and refined a natural system of medicine. This system of medicine is aimed at balancing the subtle energy flow within us, ultimately, re-orientating us towards health. Thousands of years ago, the Chinese knew about the importance of preventing disease. ‘Treating disease once it has taken effect, is like trying to dig a well when one is thirsty, or trying to forge weapons when the war has already begun’. This highlights the importance of treating imbalances before they manifest as disease. We are intimately connected to the seasons and changing climates. Acupuncturists observe how a person’s mood, energy levels and general health can be affected by the changing permutations of wind, cold, heat, dampness & dryness and seek to restore balance in the individual when these create imbalance. Treating the manifestation of disease (eg: symptoms) is like treating the leaves of a diseased tree, rather than treating it’s roots. Acupuncture is truly holistic, treating the whole person, and as a result, people may comment on how other things improve (such as sleep, bowels, mood, general energy levels and so on). The Exeter practice is at 34 Denmark Road, Exeter EX1 1SE. Denmark Road is in St Leonards, close to the City Centre and Magdalen Road shops (in an area often referred to as the Harley Street of Exeter!). The Exeter practice is located in Denmark Road, EX1 1SE with great access from all directions and the nearest pay and display parking is Magdalene Car Park EX2 4SU which is approximately 2 minutes walk away. Once you have arrived in North Tawton, locate the High Street – this is where the main shops are located. At the end of the High Street is the Square (with a clock-tower). Turn right along Market Street (with the Town Hall on your right and the Pharmacy on the left). Court Green is a small lane on the right, just at the end of the stoned wall, surrounding the Church. There is ample free parking along Market Street (alongside the Church). Many people use acupuncture for help with specific symptoms or conditions. Others choose acupuncture as a preventive measure to strengthen their constitution or because they just feel generally unwell. Acupuncture is considered suitable for all ages and can be safely integrated alongside conventional medicine. If you are looking for Acupuncture in Exeter or North Tawton and would like to speak to Lee to discuss your specific needs, please call the practice on 01392 927299 (Exeter) or 01837 214888 (North Tawton). Acupuncture is widely considered to be beneficial for a range of illnesses and symptoms, from clearly defined complaints to more general feelings of ill health and low energy. Take a look at the British Acupuncture Council’s extensive research fact sheets to find out more about how acupuncture can help you. This is not a simple question to answer as it depends on many factors such as your individual condition, how long you have had it, as well as how quickly you respond to treatment. At first you may need treatment once or twice a week and may start to feel benefits after the first or second treatment although long-standing and chronic conditions usually need more time to improve. Once your health has begun to improve, you may only require treatments every few weeks. Acupuncture is also very effective when used for prevention and many people like to go for a ‘retuning’ session at the change of each season. Most people find acupuncture to be deeply relaxing. Patients often describe the needle sensation as a tingling or dull ache. This is one of the signs the body’s qi, or vital energy, has been stimulated. However, at all times, needling ‘strength’ is adjusted to suit your tolerance and the condition being treated, so that you are comfortable throughout your treatment. Many different types of needle and gauges (thicknesses) are used – for the very sensitive, incredibly fine needles, down to 0.12mm wide can be used! Try not to have a large meal within an hour of your appointment as the process of digestion will alter the pattern of your pulse and depending upon the treatment required, you may need to lie on your stomach! You should also avoid alcohol and food or drink that colours your tongue such as coffee or strong tea. It is a good idea to wear loose-fitting clothes so that the acupuncture points, especially those on your lower limbs, are easily accessible. Please also try not to wear makeup, perfumes or body-sprays especially on your first visit, as the detailed diagnosis also includes looking at your natural colouring and allowing the practitioner to pick up odours that might relate to your condition (please note, we do not ‘smell our patients’ but simply maintain a sensitive awareness whilst we are in the room working with you!). You are likely to feel relaxed and calm. If the treatment has been particularly strong you may feel tired or drowsy and it is worth bearing this in mind if you plan to drive or use any other machinery soon afterwards. Acupuncture has virtually no unpleasant side effects. Any that do occur are mild and self-correcting. Occasionally there may be minor bruising at the needle point or a short-term flare-up of your current or old symptoms as your qi clears and resettles and your body regains balance. Should I take my prescribed medication whilst having acupuncture? Will my private insurance cover the cost of treatment? That depends upon your insurer and the policy you have. As the demand for complementary medicine increases more private health insurance companies are beginning to offer cover for acupuncture. You should check your individual policy details. If you choose to use your insurance to cover your treatment costs, please ensure that you still pay on the day of your treatment and then claim your expenses as we are not able to do this for you. If you are searching for ‘acupuncture Exeter’ or ‘acupuncture Okehampton’, we have two practice locations which provide coverage to the city and surrounding areas of Exeter and the town of North Tawton (which includes the Okehampton postcode area and beyond). Excellent access routes and parking.